Before any event or activity, you’re usually given a heads up on what to expect. Most organizations do this so participants are well aware of what they signed up for. By doing so, participants may be properly oriented on what to do so an activity may properly carry out. This is all and the same for various programs, such as an employee suggestion program and a marketing plan program. 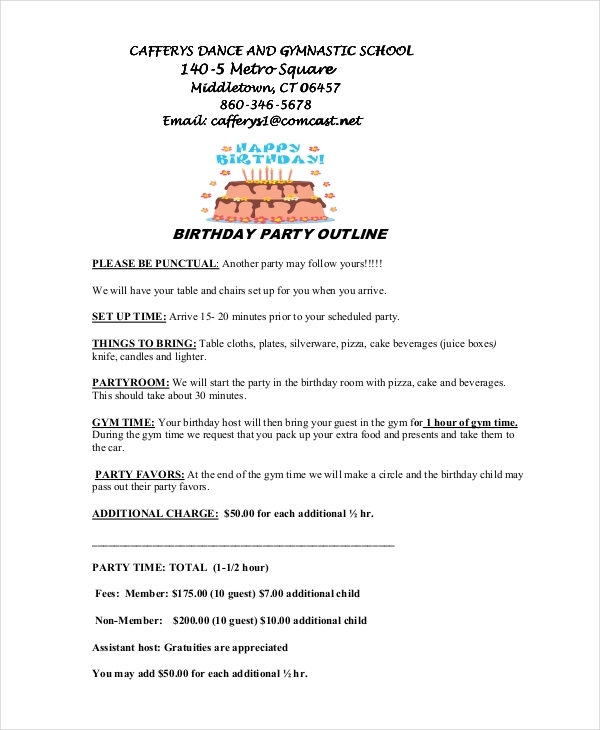 However, programs don’t contain a detailed walk through on the activities planned. 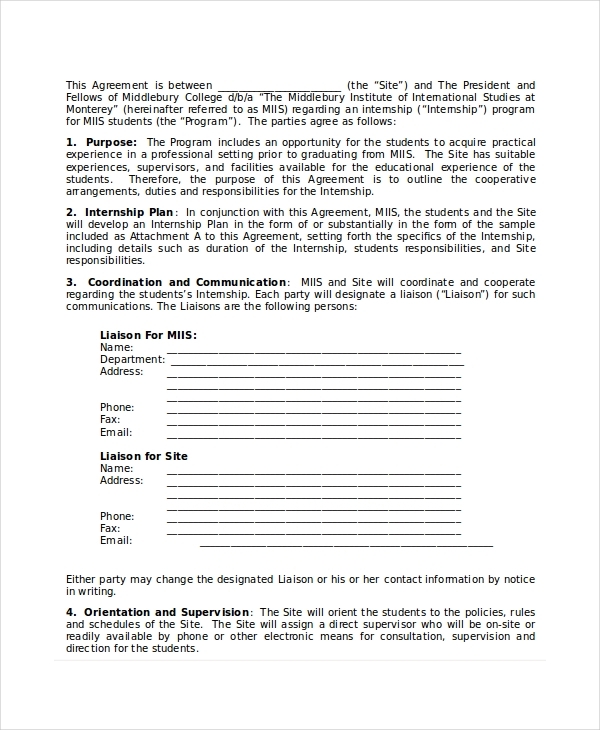 Instead, it includes an outline of the major events that are significant to achieving the program’s objectives. What Is a Program Outline? 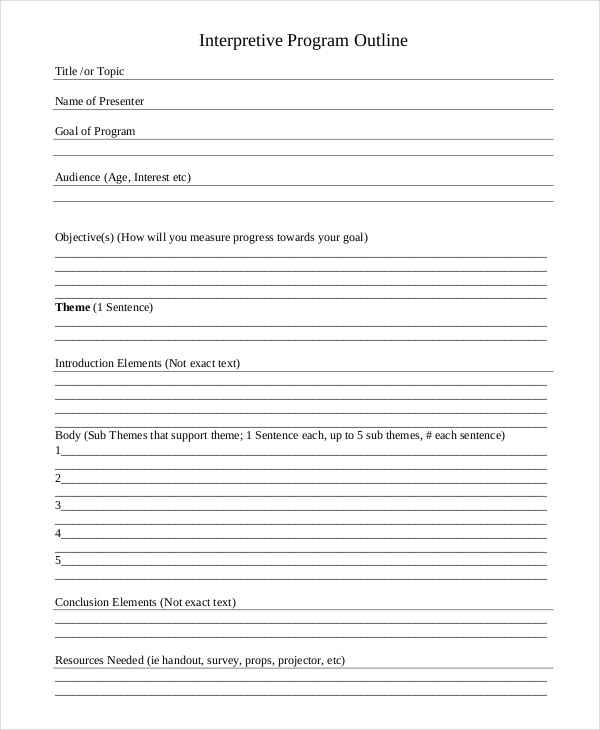 A program outline is a simplified plan example or draft that presents the significant features of a program. 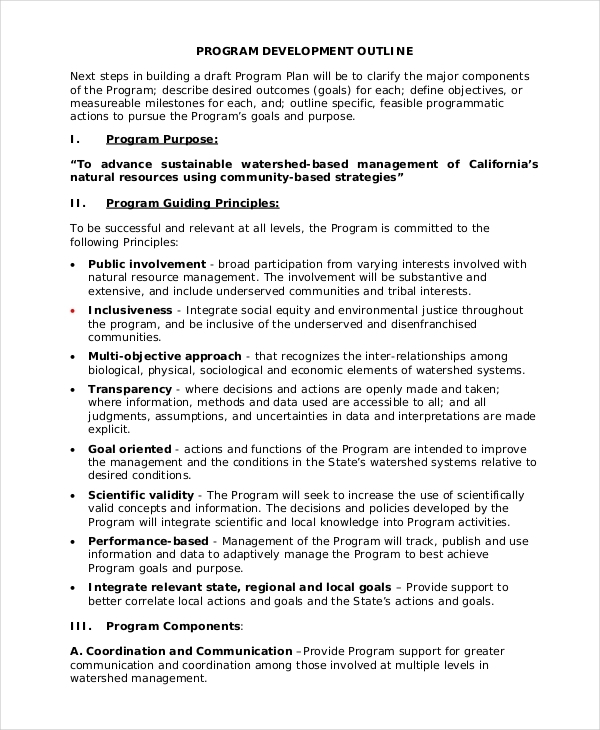 The content of the outline may include the program’s principles, guidelines, agenda, and other instructions. 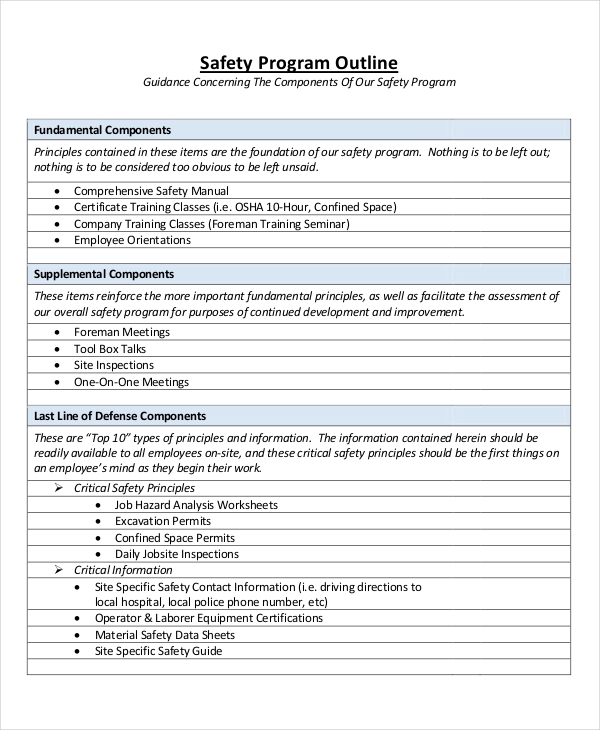 Internship programs, event programs, and safety programs are just some program examples that make use of an outline to properly carry out an activity. Creating a program example outline is simple. As long as you know the basic points of a program, then it won’t be too hard for you. First, you need to identify the purpose of the program. The rest of the program’s content would determine how the objectives will be achieved. 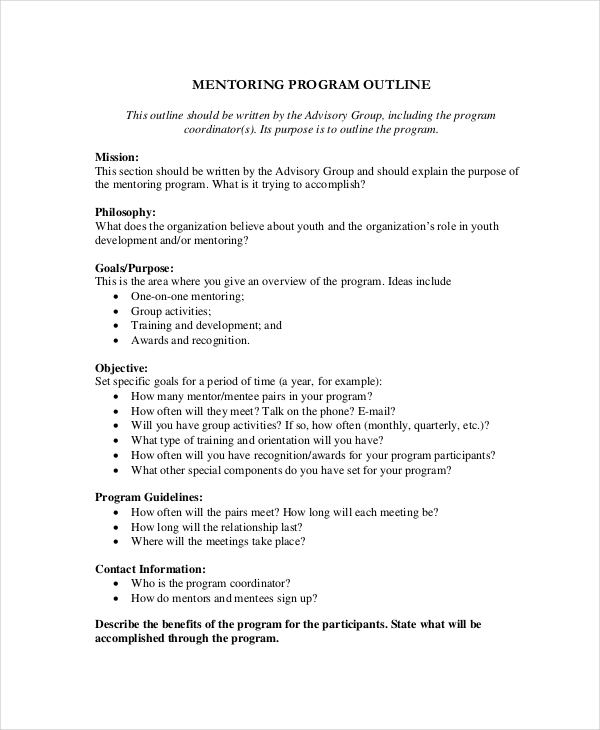 Next, determine the activities involved to carry out the program. 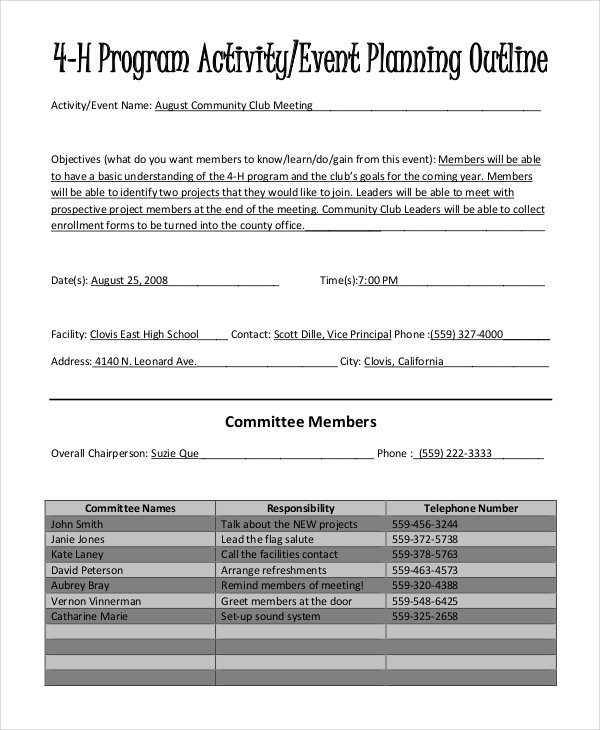 This is similar to an agenda in word as participants are informed ahead of time of the activities, the venue, and the time allocated for the whole program. One common example is a wedding program. A wedding program is often distributed to guests for them to be informed of the activities planned for both the ceremony and the reception and making it as an memorial program. 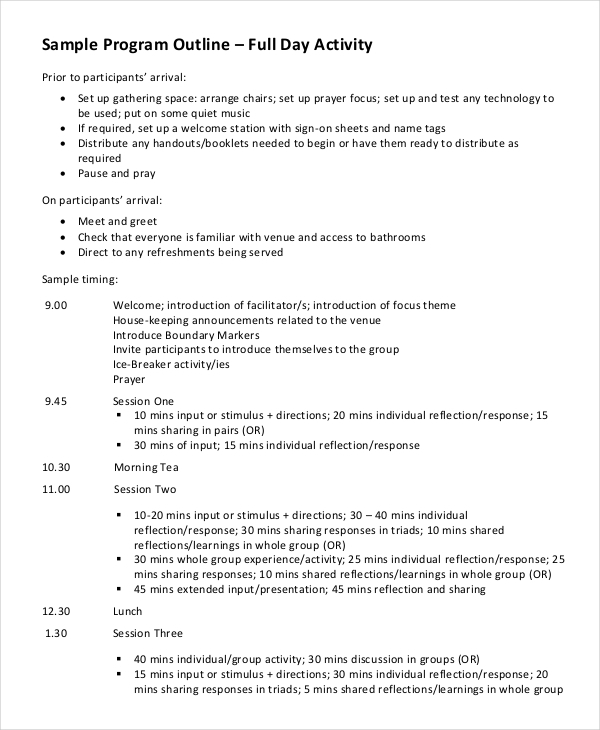 Events must be mapped out in proper order so participants may be guided accordingly. Generally speaking, a program outline offers an essential overview on the essence of a particular program. 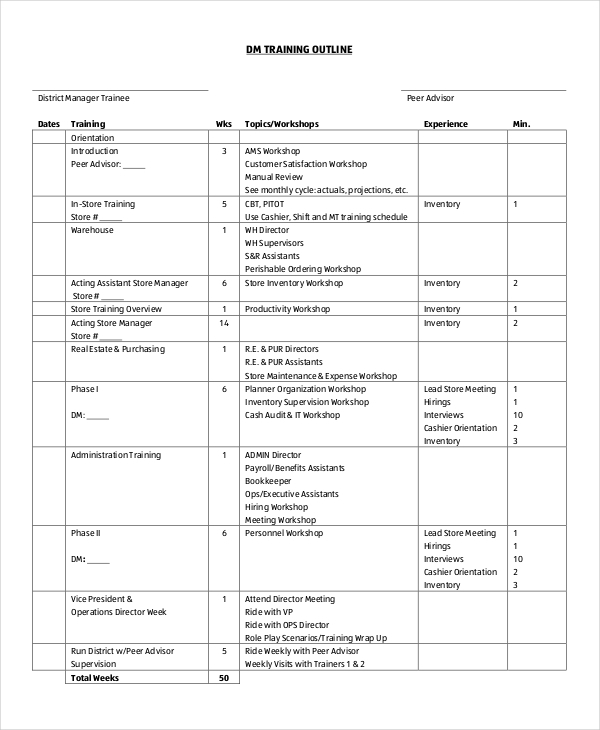 For instance, a training program example provides insight on what to expect from a training session, this is so a participant may be aware of the purpose of a given program and other supporting details to successfully achieve outcomes. It is considered to be a courteous way of letting your participants know what to expect without providing every detail. It needs to be flexible. In the process of creating a program, you must keep in mind that there may be certain circumstances in the way that can negatively affect particular events in your program. The program must be able to continue despite any given situation. Organize key points accordingly. A program’s objectives is initially indicated. To attain the given objectives, supporting details will follow through. Review and adjust. Make sure to review your outline and make necessary adjustments before allowing it to follow through.